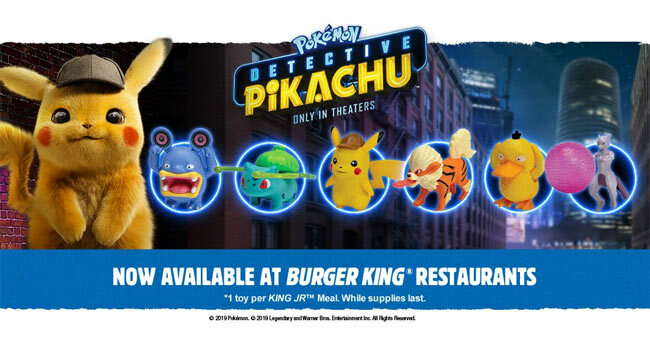 Burger King now has Detective Pikachu Meals in their King Jr. Meals (Kids Meals). These will be available during the month of April 2019. The Burger King website shows toys featuring Detective Pikachu, Mewtwo, Psyduck, Loudred, Arcanine, and Bulbasaur. Good Luck finding your favorites! Detective Pikachu Meals at Burger King in April 2019.